As you know I’m a Miffy Mum and we’ve been having so much fun incorporating Miffy into our every day crafting. The only thing we hadn’t tried yet was Miffy play dough so I made some. Although Miffy is white she lives in a colourful world. 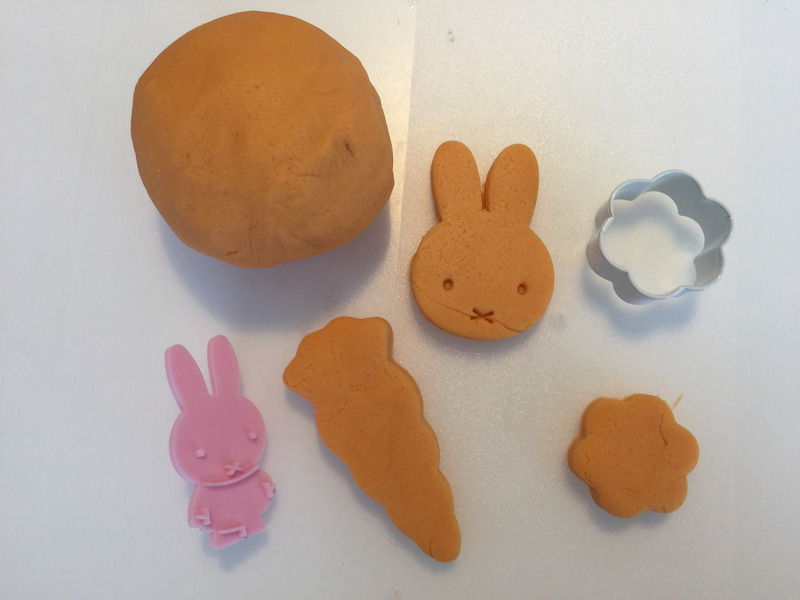 I think part of the appeal of Miffy is the colourful world she lives in so I made orange play dough using my usual play dough recipe. Orange for the carrots Miffy eats and because it is our favourite colour. I placed all the dry ingredients in a mixing bowl. Then I mixed up a sachet of flavoured drink mix powder Kool Aid in orange with a couple of teaspoons of warm water. When the powder had dissolved I added it to the dry ingredients and gradually added the water, mixing until I had a smooth dough. 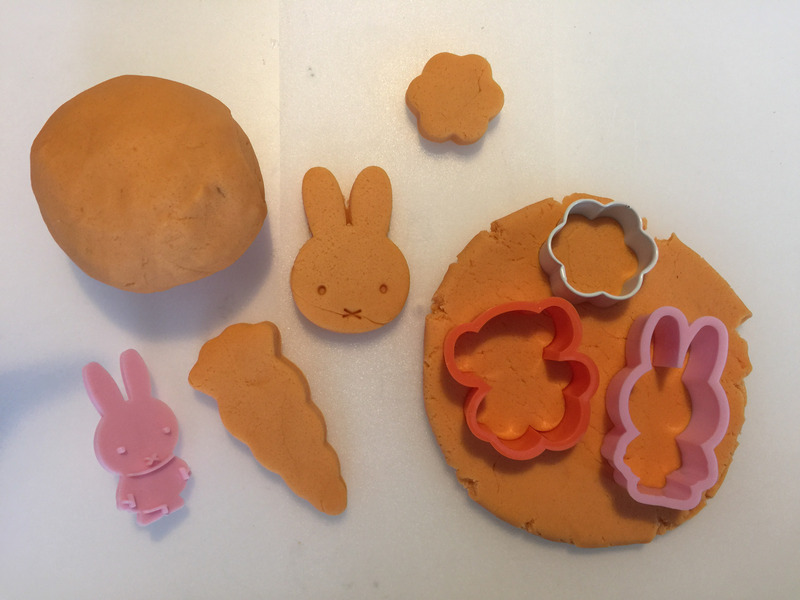 I set up an invitation to play with the Miffy play dough, a selection of cookie cutters (including Miffy, carrots and flowers), a rolling pin and plastic knife. My daughter was excited to get her hands on the homemade play dough. 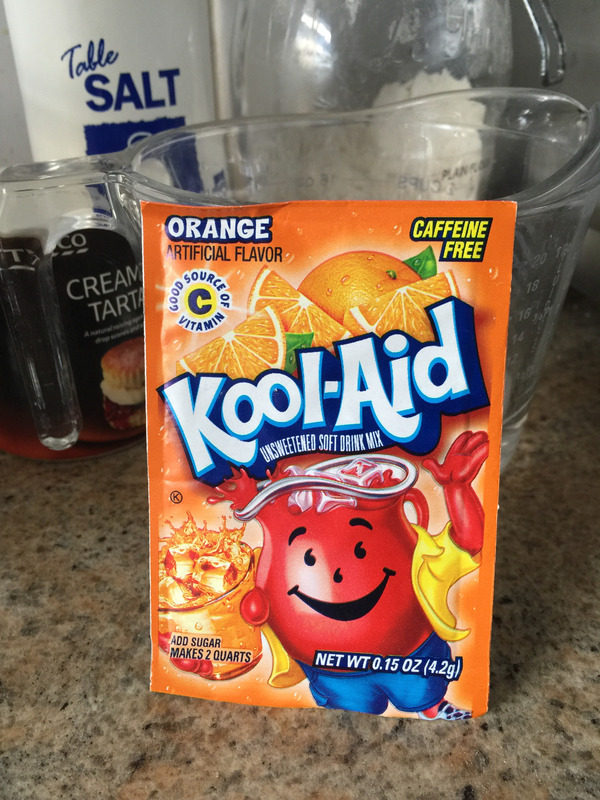 The Kool Aid gave it a really strong smell of oranges which was quite nice for an added sensory touch. 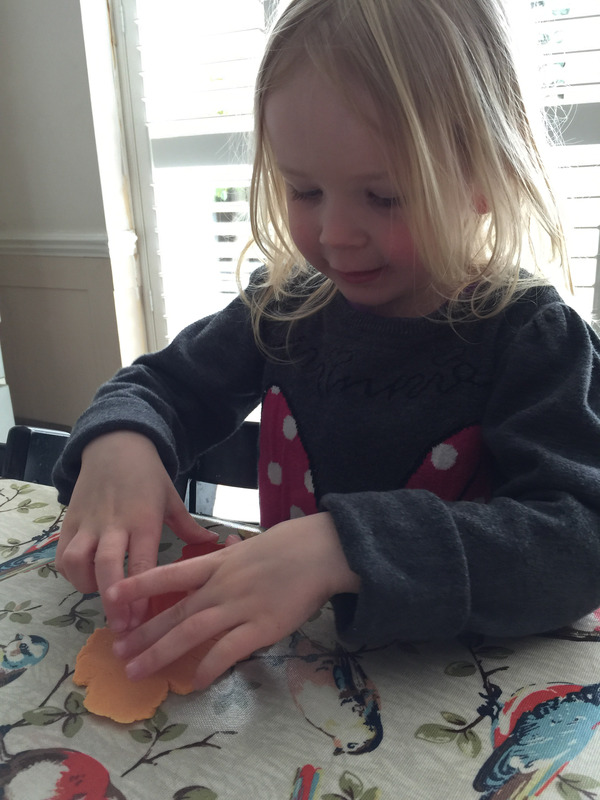 Play dough is a great tool for developing fine motor skills so I am really keen to encourage both my children to have fun with it as often as possible. My 3 year old really enjoyed her homemade Miffy play dough. She rolled out the play dough and cut lots of pretend cookies with all the different cookie cutters. This play dough keeps really well in an air tight container for more Miffy adventures! What a great use of Kool Aid. I’ve used it for dying yarn in the past. Thanks for the tip, I keep finding sachets of it everywhere! This looks like so much fun. It hadn’t crossed my mind to mix flavouring with home made dough before. Will give it a try next time.